A new bill in the Montana legislature seeks country-of-origin labeling on meat products. Senate Bill 206 would restore COOL for beef and pork sold in Montana. 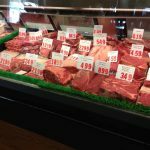 Supported by the Northern Plains Resource Council, the council says the bill would require that placards be placed in meat counters to inform consumers about where the meat was born, raised, harvested and processed. Northern Plains is working with the Montana Cattlemen’s Association and Montana Farmers Union to reinstate COOL during the 2019 legislative session, according to AgWeek. The Council helped pass a similar bill in 2005 with a sunset if a federal law was enacted. While a federal COOL measure was approved in 2009, it was repealed in 2015. If passed, the law would be implemented by Montana’s Department of Labor and Industry. The bill was introduced last week and was referred to the Montana Senate Agriculture, Livestock and Irrigation Committee.